We’re back with the 5 Android apps you probably need and did not know about. This is the third post in the series so be sure to check out the First and the Second in case you may need something that has already been covered before. Quidgets is an interesting little app that lets users hide homescreen widgets as Quick Settings tiles. This doesn’t seem all that useful in and of itself, but consider: it means you can open up a handy widget in any app, without needing to run back to the homescreen. The initial version only works with Android 7.0 or later, and at the moment the user interface could use a little work, but the app shows promise. 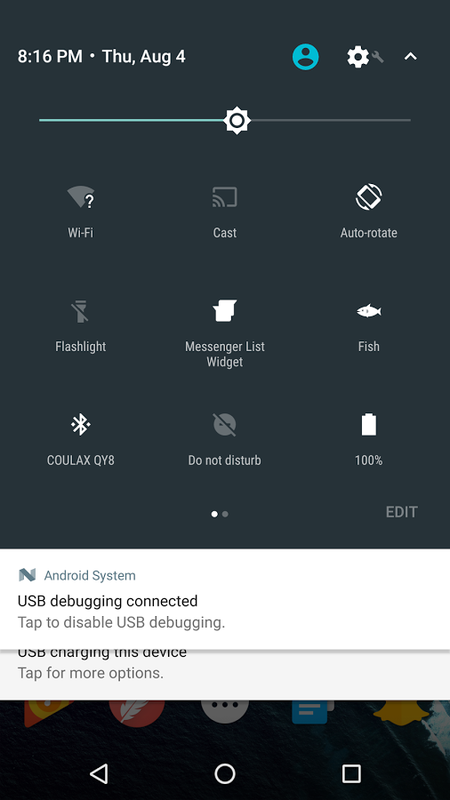 Quidgets allows you to insert full-fledged widgets into your Quick Settings drawer on Android Nougat and above. Simply hit “Edit”, drag the tile into the Quick Settings drawer, and tap it to set it up. It’s that easy. Have you seen those screenshots of a long text message session that stitch together multiple phone screens for easy viewing? If you’ve seen them on iOS, you’ve probably seen the work of the Stitch It app. There have been a few imitators on the Play Store already, but here’s the real McCoy. It doesn’t really matter which chat service you use with it, but it’s designed for the likes of WhatsApp, mostly for sharing on social networks. We’ve finally launched on Android, after building a base of about 400,000 users on the iOS platform. Stitch It. allows you to create one seamless image of a text message conversation so that you can share it via WhatsApp, email, Facebook, Twitter, Reddit, Tumblr, or anywhere else in the series of tubes that is the webernet machine. FeedNews is a fairly standard news app – choose your favorite categories, swipe left and right, and read to your heart’s content. The hook comes from the “AI” suggestion engine that learns your taste, and also integration with Twitter’s API, which prioritizes the stories that your friends are reading and sharing. The interface is clean, if not particularly innovative, and there’s an offline reading mode as well. Drowning in information, but starved for knowledge? FeedNews is a news digest app with AI and social curation specially tailored for you. With our recommendation engine and social news aggregator, FeedNews lets you stay on top of things that matter to you. Easy to read on a daily basis so you’re always up-to-date and never feel FoMO again. Spend less time searching for news and more time enjoying it. Dropbox, I see you looking over at Google Keep and Evernote, salivating at all those users just waiting for a little competition. Paper, which is currently in beta on Android and the web, is just that: a notation app. Dropbox is hoping that a focus on easy searching and team collaboration, including the ability to live edit documents among multiple users, will give it an edge. The beta app requires users to sign up on the web first, but there’s no quota or ticket system. Dropbox Paper helps fast-moving teams work together on docs, find important information, and stay in sync – even while on the go. Any updates, changes, or feedback you give will all be synced with your docs on paper.dropbox.com. Use Dropbox Paper as a collaboration tool with your teams and for document management. See all your notifications — comments, shares, and @mentions — in one organized list. Add, view, and reply to comments so you can have a conversation on the go. 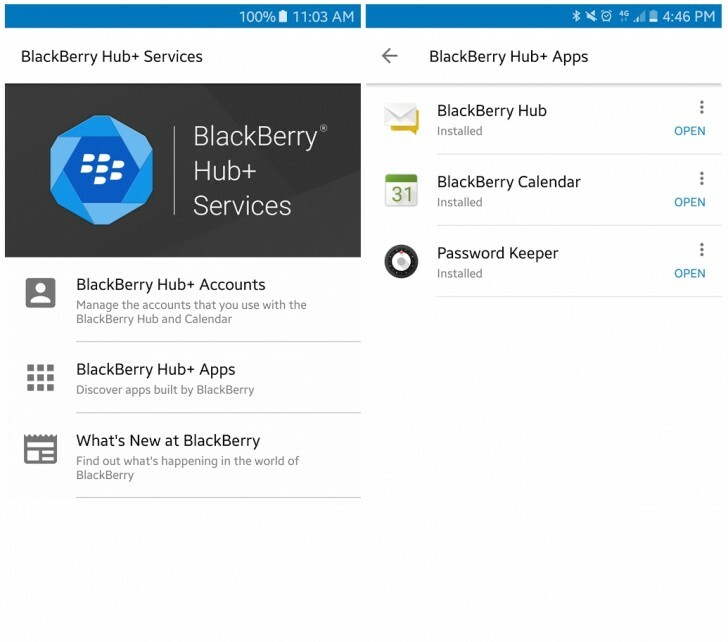 BlackBerry Hub+ Services brings BlackBerry apps to any Android phone. You get the BlackBerry Hub, which houses all your email and social media accounts in one place, BlackBerry Calendar, and Password Keeper. It’s important to note that the app has a 30 day trial, after which you will see ads. Should you choose to pay the $0.99 monthly fee, you get rid of the ads and also get additional apps such as Tasks, Device Search, Notes and Launcher. hey guys thanks for sharing those apps! very useful to me. Could you kindly also recommend our app ‘ AppLock’? it’s used to lock apps and datas in phone. one of the best download in Playstore. https://play.google.com/store/apps/details?id=com.domobile.applock thank you! AppLock is quite a well known app already don’t you think? Yes we have more than 200 million users but we need more. hope for your assistance. If there is a review we would like to share it in our SNS. sure. I have used the app for quite a while before but I don’t use any app lockers anymore. I will test the latest version and post about it soon.